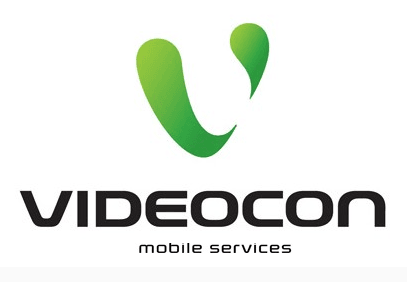 Videocon Mobile Services are looking for a within-six-month launch plans for its 4G services over 1800MHz band which the company has secured in November auction in Jharkhand & Bihar, West and East Uttar Pradesh, Gujarat, Haryana, Chhattisgarh and Madhya Pradesh. As per the report by Telegraph India, Videocon is quite sure to roll out its 4G services by July this year. Videocon won liberalized spectrum in the recently-ended auction and can offer services over the 1800MHz band using any technology. Videocon will use LTE-FDD technology to roll out 4G on 1800MHz band. It should be noted that globally LTE-FDD1800 is getting more importance across the globe, more than 30% of LTE roll outs are on this band. So Videocon can leverage the advantages of LTE-FDD on 1800MHz, as the ecosystem including devices are quite mature compared to other Indian companies – Airtel, Aircel, Infotel, Tikona and Augere who got BWA spectrum in 2010. Till date only Airtel launched 4G-LTE services in Kolkata, Bangalore and Pune. we are wating lunching videocon 4g services in up east becz being starting lowest(call rates) price war once against which get benefits of coustmer……then dont late for lunching. i hope that videocon services lunch as soon as & i am alread distributor of videocon form name(galaxy assocociate,address-mughal sarai chandauli) jone varanasi. north UP me vidiocon kab tak lanch hoga pls reply.